Here is the YouTube playlist of Christian Beach’s complete set at the Strand Theater gallery on Feb. 7, 2009, as part of the CD release party for “A Few Uneven Rhymes – A Tribute to Winter Hours.” Enjoy! 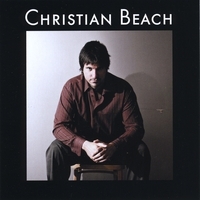 And, remember, the new, self-titled CD from Christian Beach is available now at CDBaby.com! hey, sorry to boder you but i’ve been trying to add a youtubr playlist in my wordpress.com blog and i cant make it work… i hope your blog is not hosted by you, coz if not, i would like to ask how u added the youtube playlist i your post…. Sorry for the delay in replying to you. I would suggest using Vodpod (vodpod.com). Sign up for a Vodpod account, then go to vodpod.com and paste the embedded playlist player code provided by YouTube where it says Add a Video. Another window should pop up that provides options for what you want to do with the video. Posting to WordPress should be an option. Just put in your blog’s URL and login info and then click “send to my editor. That should open your WP blog in a new browser window in edit post mode with the vodpod-generated player code in the text window. Hit preview post to see if the embedded YouTube playlist player shows up properly. Next Next post: “Christian Beach” CD now available on iTunes!